Infamous for being swamped with legions of mosquitoes, living in Houston can be difficult, especially after heavy downpours of rain or the kind of historic flooding that the Houstonians experienced in April. The main reason for these pestering bugs hovering around your home is the standing water left behind by rain or floods. Standing water is what provides mosquitoes with a prime breeding habitat which often makes it impossible to control and keep your turf mosquito-free while the dense foliage in your garden provides them with an excellent hiding spot. If they continue to breed in and around your turf, these buzzing creatures can become a big nuisance for you and your family in the long run. These pests can also pose health related threats by transmitting dangerous diseases like the West Nile Virus, Encephalitis and Malaria. But what if there was a mosquito control system that could help you keep mosquitoes away from your home? 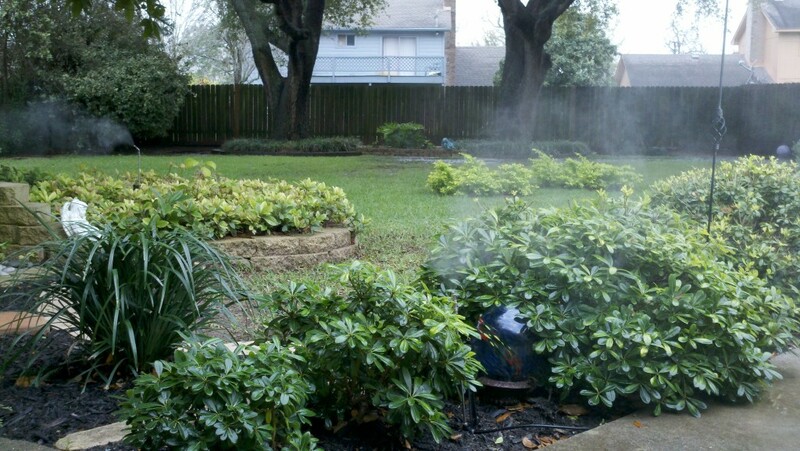 If that is what you need, invest in our mist cooling system for mosquito control in Houston. Our system is unlike any other! It is a revolutionary mosquito misting system engineered exclusively to keep your turf free from mosquitoes. 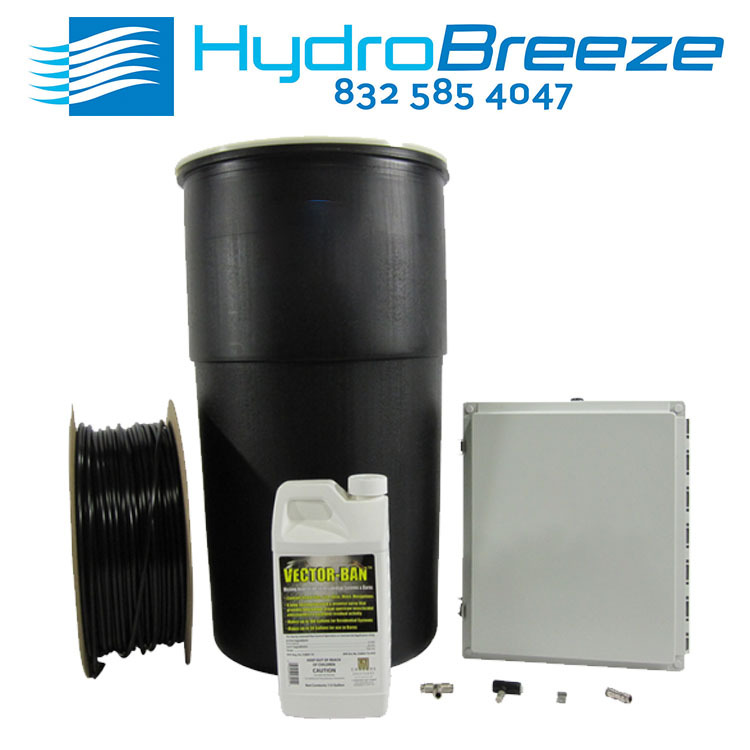 The system can be installed to target natural breeding areas of mosquitoes in and around your residential landscape. It can be targeted and used smartly to spray mist directly into the flower beds so that it penetrates into the dense foliage, chasing away the mosquitoes from your turf. Mosquito Misting System- How does it Work? Designed to repel and kill mosquitoes, this misting system features a 55 gallon drum that is filled carefully with vector ban insecticide and covered with a cutting edge technology pump that works like a sprinkler. The ultra fine stainless steel anti drip misting nozzles are then installed on a flexible tubing that is placed along the fence line and attached to the mosquito misting system. Each nozzle in this misting system is installed approximately 10 feet apart. Vector ban insecticide is sprayed through these misting nozzles into the air, flower beds and other areas of your residential landscape that serve as mosquito hiding spots. Vector ban is an insecticide comprising of 10 percent Permethrin, an ingredient proven to keep flies, mosquitoes and other types of insects away. This insecticide does not do any harm to your equipment. And since it stays suspended in the solution, no mixing or stirring of the suspension is needed. Apart from this, it comes with an automatic digital timer which can be set according to your needs. The timer enables you to spray your turf with vector ban at your desired time intervals. For more information or to purchase our mosquito misting system, get in touch with us today!